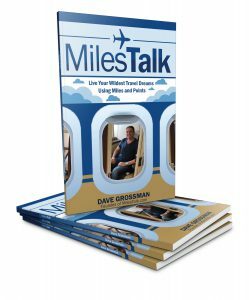 Flyertalk reader Maxcalls shares a very detailed discussion he had with a Marriott call center employee in India regarding what will happen to Travel Packages after August 17th. You can read his post here. If attached to a current reservation, nothing changes. If NOT attached to a current package, they will all convert down to “new” Cat 1-4 packages with the difference in original points refunded. i.e. a Cat 6 would have 30k points refunded. Then, you can upgrade those base-level certs at the new rate after Sept 18th. Now, this is one call center employee’s statement. It’s not official, does not come from any PR or VP level people, and may be hogwash. Or it may be exactly what happens – because it makes SO MUCH SENSE. All of the other scenarios we have thought about would have meant someone got screwed. Either Marriott could be taken advantage of (people thinking they’d get boatloads of free points back or remapped to better deals) or the customer could get screwed if they remapped lower than people felt was fair. In this scenario, if you attach a cert to a higher level category now, you get that. You are not being hurt at all and get a great deal. But if you were thinking you’d redeem speculatively (with the actual intent of using a 7 night stay) you are unharmed. And if you were really trying to game them and are unhappy, well, you were trying to game them so they won’t be shedding any crocodile tears for you. And I guess you’d still have made out with more airline miles this way, as you’d have gotten the 120,000 vs 100,000 now. But a Cat 7 would require, it appears, a 240,000 point buy-up, which certainly hurts that deal. It really is a fair solution, so I think it’s worth considering as at least greater than a 50% outcome. 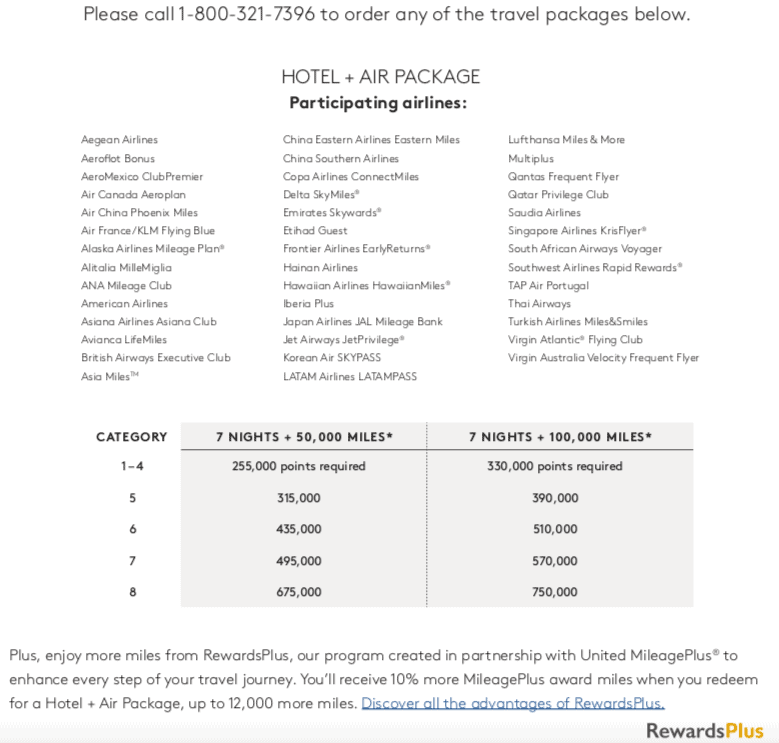 And if you think more about it, it actually lines up with what Starwood Lurker said on Flyertalk a while back – attach a cert now for the best value. Because locking in a Marriott property now will be the best value! 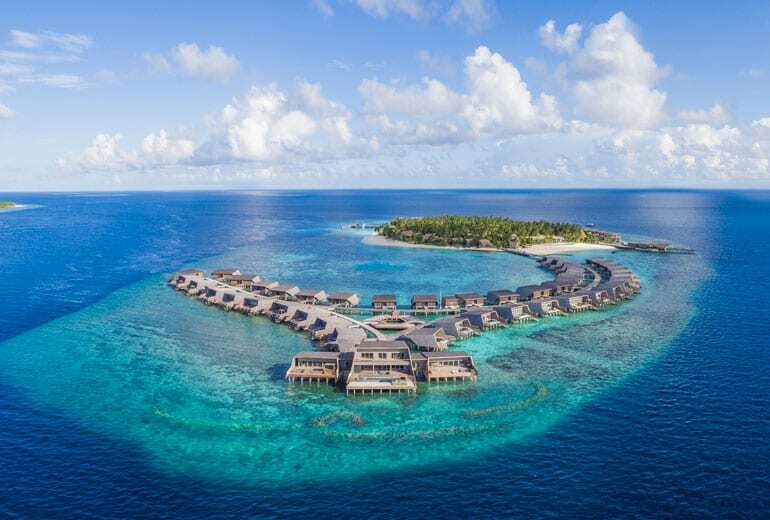 The loser in this (speculated) situation, though, is someone hoping to book an aspirational/suite level property like the St Regis Maldives that is expected to be 60,000 in the new program from Aug 18-Dec 31. That’s because you can’t use a high end Travel Package there at all with the old chart. They won’t be bookable until after the Travel Packages are frozen, meaning you’d have to upgrade from a Cat 1-4 package for mega-points. And due to the month freeze, you will definitely see less availability for them once you are un-frozen. So high end SPG properties will be best booked with your regular points – remember you get the 5th night free on an award – at 240,000 points per 5 nights.